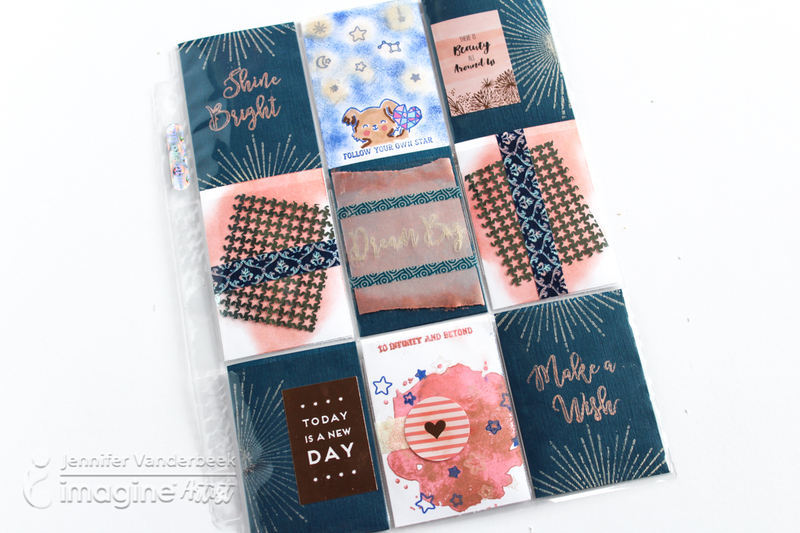 Imagine That: September Projects and Big News! So… September, huh? Where in the world did that go?! I ended August by giving notice at Canopy Cove so the next two weeks were spent tidying up as many loose ends as possible and training both my replacement and the new insurance specialist. There were days when I felt more like a proctor or study hall monitor than an employee and my voice was hoarse on many occasions. 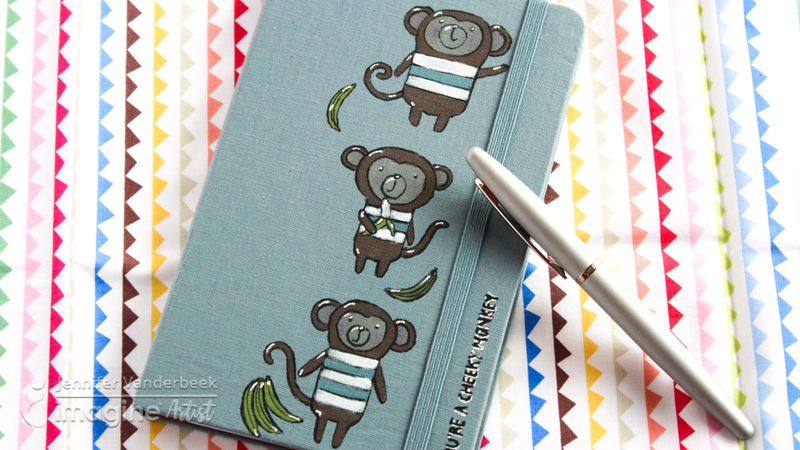 9/2: My monkey Moleskine on the Imagine Crafts blog was my second project picked up by the Craft Gossip newsletter! And then there was the aforementioned hurricane scare which, sure, meant a second 3-day weekend in a row but with an added scoop of stress and cutting the time to finish my to-do list even shorter. That next weekend I started rehearsing with the Rose City Symphonic Band. I wish I could say that the transition back into concert music has been a smooth one. It… hasn’t. To be quite candid, I’m not sure I have the chops to handle that kind of playing as I’ve been struggling to consistently hit and maintain an F natural (aka the first note I learned the play on the damned horn at age 11, 30 freaking years ago). Time will tell whether I emerge victorious or bow out gracefully. 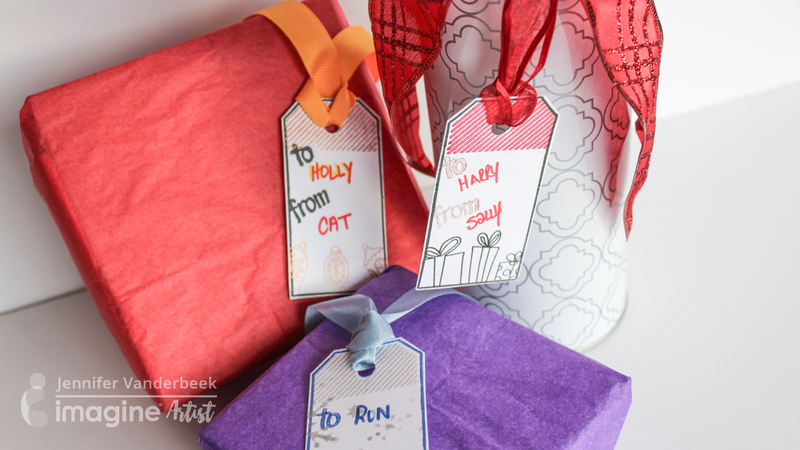 9/22: Get a head start on the holidays by stamping out some quick gift tags on the Imagine Crafts blog! On the 19th I started my new job in Thomasville at Balfour Timber. I love my new workplace and really am enjoying learning a new industry and the transition has been pretty gradual, allowing me to learn not just what my job will comprise but the rest of the office as well. And because the Universe has a sick sense of humor, the night before the new job started I came down with something and I’m still dealing with it. I’ve been on antibiotics for the last 19 days with 6 more to go and there’s still a chance I might need minor surgery to resolve it. And, finally, plans are afoot for me to attend Creativation this January! I actually decided to book my flight once the Irma threat was over, but it looks like I’ll be hanging out a lot at the Imagine booth helping with demos and stuff! I’m super jazzed about it (I’ve wanted to attend the CHA show for ages) and have been counting down the days in my planner!